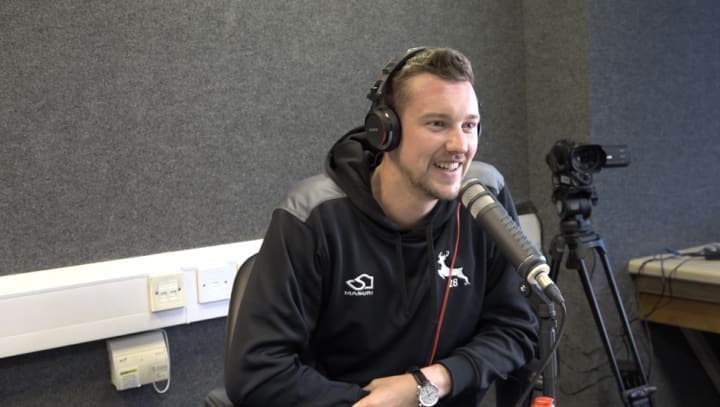 In the second episode of Jake Ball's Talk Of Trent Bridge podcast, the Welbeck Wizard is joined by long-serving Notts teammate, and former host, Luke Fletcher and Performance Psychologist Matt Thompson. The two bowlers discuss why Trent Bridge "toughens bowlers up" and reminisce about their time living together in Gamston when they were junior members of the team. They discuss their transition into senior Nottinghamshire players and what they plan to do after their playing careers, as well as providing advice for up-and-coming cricketers. Thompson discusses his role in the Notts team, touching on the importance of psychology in delivering peak performances - from the ability to move on from errors on the pitch, to the importance of players being able to identify their strengths and weaknesses. To make sure you never miss an episode, subscribe to the Talk Of Trent Bridge podcast through iTunes or Spotify by clicking on the 'subscribe' button on the audio above. Let us know if you enjoyed the show by leaving a review, and tell us any topics or guests you'd like to hear from in future episodes by using #TalkOfTrentBridge on social media.